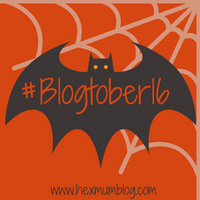 For day 10 of Blogtober 16 I was asked, what is the one thing I can’t live without. I hate that this is my answer but the one thing I can’t live without is my phone. The shame. Obviously there are more emotional answers like my son, my partner, my mum etc etc. But on a practical level I could not live without my phone! My phone performs so many different roles in my life, it’s a real life line. One aspect that makes my phone indispensable to me is that fact that it is my camera. In fact, I just updated my phone from the iPhone 5s to the 7 purely for the purpose of getting a better camera. I own a handheld digital camera which I use for vlogging and taking some pictures. I have Fabio’s DSLR for taking truely beautiful photos but the long and short of it is, my phone is my go to camera. It’s on my person the majority of the time and it’s so quick and easy to whip out. Mobile phone cameras catch so many of the momentus pictures in our lives! So many first moments of our children’s lives. Being a mum is difficult! It is literally so hard because every day you will face questions that you simply don’t have the answer to and Google is everyone’s best friend. Seriously, go through my google history and the scope of questions that are parenthood related, I must goggle and have a proper research into something to do with Harrison every single day. Being a mum is also hard because it can be really quite isolating and lonely. There is a 3 hour gap in each day where I can’t leave the house, I can’t go meet friends or be around other people because Harrison is napping. In those times my phone is my link to other people, via phone calls, via text, via social media. A lot of my mum friends are people I have met over the internet and without my phone providing that link I would really struggle with loneliness. That is something I am absolutely sure of.